MamaBreak: Introducing . . . the newest member of the MamaBreak family! Introducing . . . the newest member of the MamaBreak family! The MamaBreak family recently added a new addition! This adorable kitten! 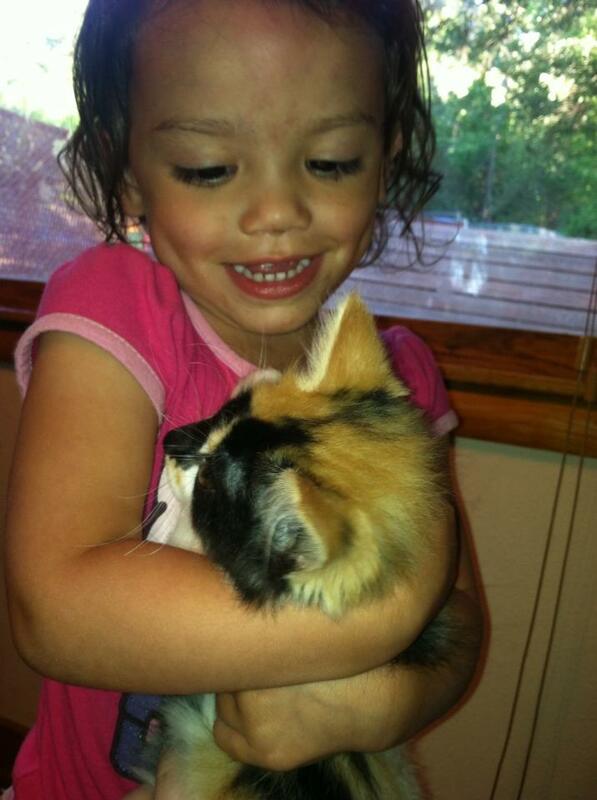 We already have one older cat, but wanted a kitten that the kids could interact with. We adopted our new kitten from The Humane Society, and could not be more thrilled with her. Did you know that when you adopt from The Humane Society, you often can find out the personality quirks of the cat or kitten before adopting him or her? They can tell you which cats and kids, dog, and/ or cat friendly. They even were able to place us with a kitten who had a laid back personality! PLUS you are helping a cat in need! The Humane Society has locations all across the country and work to keep animals from being euthanized. Your adoption saves the life of another cat! What a tremendous gift! If you cannot adopt an animal, you can always foster or volunteer at the local shelter as well!